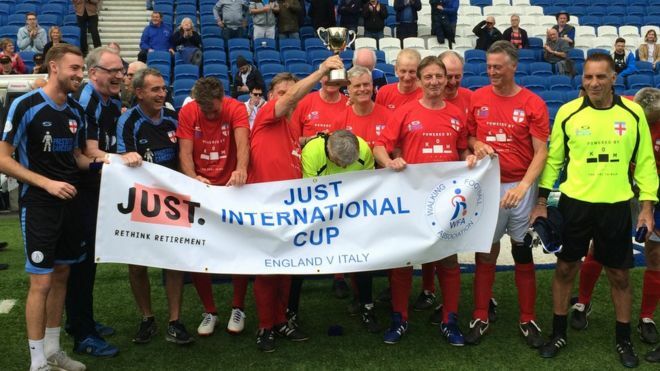 Tommy Charlton, the younger brother of 1966 World Cup winners Jack and Bobby has, like his brothers, helped England to lift a trophy - in the first ever over-60s walking football tournament. England beat Italy 3-1 at Brighton & Hove Albion's Amex Stadium in the Just International Cup, with left-footed Tommy having two good chances to score which were saved by the keeper. 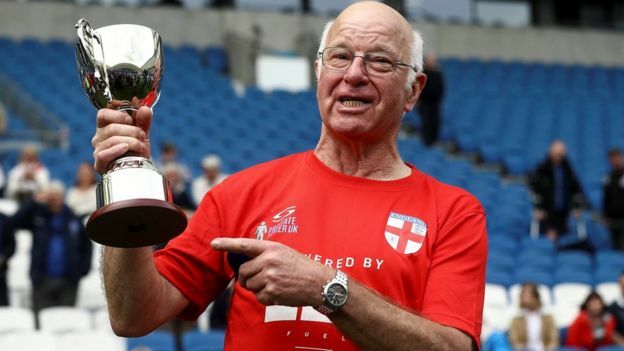 The brother of World Cup heroes Bobby and Jack Charlton has lifted a trophy for England as part of the over-60s walking-football team. At 72, Tommy Charlton represented his country against Italy in the first ever international tournament, at Brighton's Amex Stadium. England won 3-1, with left-footed Tommy having another two good chances to score which were saved by the keeper. The game bans running and strong physical contact between players. He was joined on the over 60s squad by Alan Kennedy, 63, winner of two European Cups with Liverpool. Before the game Jack Charlton, 83, sent Tommy a good luck message from himself and Bobby, 80. It said: "Hope you have a good game. Thinking of you. Sorry we can't be there but I know you will be brilliant. "Both Bobby and myself are incredibly proud of the fact that at the tender age of just 72 you are able to follow in the family footsteps and get to play for England. So very proud of you Tom." 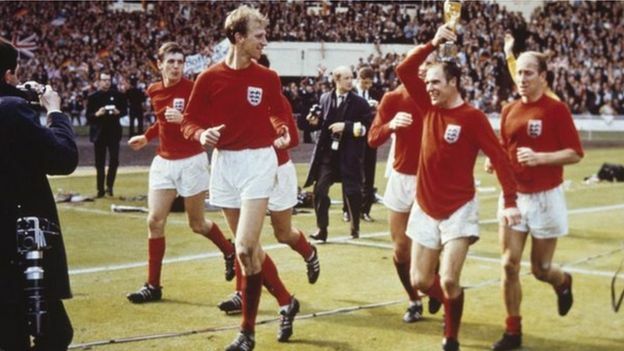 The grandfather of six was just 20 when he watched his two elder brothers help England beat West Germany in the 1966 World Cup final but he was forced to retire from amateur football aged 24 through injury. He now plays for the Mature Millers club in Rotherham and earned his own international call-up after impressing during a trial at Burnley in March. In a separate game for the over 50s, England beat Italy 2-0. Last edited by Blackleaf; May 13th, 2018 at 11:26 AM..
I,ve reconsidered my position and apologize for my youthfull ignorance, of course these old geezers trying to regain some warm rub of youth is commendable, god bless them. Cannabis is however quite a bit cheaper and there is very much less expensive gear needed. The beautiful game at any level. Yes it is, but did you have to encourage him, next it will be the sublime majesty of darts. You,ve fertalized an otherwise nutrientless void and it can only produce some other goddamed twisted limey idea of reality ibnvlving darts or sails or beer. Jesus Walter, another thumbs down! Maybe if you could forget my colour you would respond differently. Harmison aims to propel England to glory in ICC Champions Trophy.